Our wonderful Presenters have redefined what does work, career, success, independence, and freedom mean to them, and how they set themselves free as digital nomads. They have built up something completely new, something very different from the past old-fashioned system. 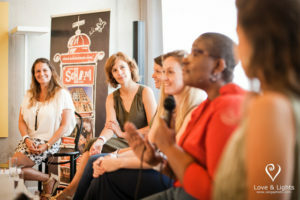 Five succesful digital enterpreneur Ladies gave us some insight to their work and explained the base of their excellent results. What could be the key to achieve a highly successful business? 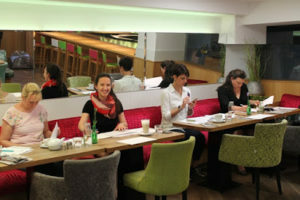 End of May, we have held our very first “Assessment Center” in Yamm Restaurant. The Applicants were required to present the individual tasks in three languages (English, German, Hungarian) in an utterly creative and professional manner. And we were extremely impressed!! All of the Applicants have shown us some very serious skills. Our final conclusion was, that an Assessment Center is an efficient tool to present self-awareness and self-brandig. We had great discussions at our networking event end of March. We chose to brainstorm on dilemmas, that are important part of our everyday-lives. 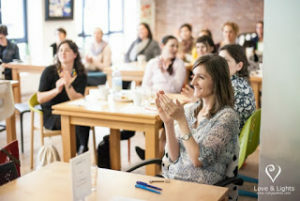 Many may find networking a little bit challanging, but we discussed some tips and ideas how could we take part at such event in an efficient and stress-free way. 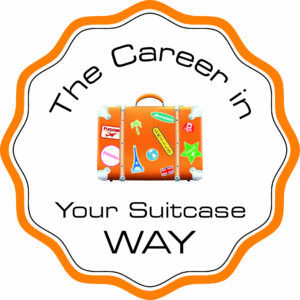 Colleen Reichrath Smith, consultant of The Career In Your Suitcase Way introduced us many ways how we can set ourselves free in our worklife. She also gave us a sneek peek what a “portable career” is and what kind of engagements could be profitable for us later on as a very successful enterpreneur. Do not worry if you missed this webinar, here comes the next one. 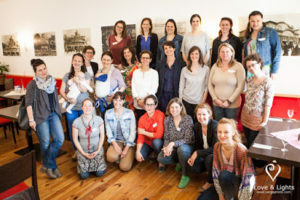 40 curious Ladies gathered in LOffice, Wien to receive a deep insight into the world of job applications. Our guest-consultant, Ada Fürst (HR Specialist) gave us many clues and concepts to be able to thrive in a job application process.